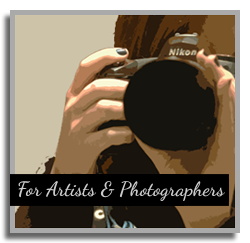 Great care and attention to detail go into your artistic and photographic work. Why not put the same care and attention into what goes around it? By selecting the frame that goes on your work rather than leaving the decision to your client, you maintain total artistic control from the creation of your work to the final presentation. An expertly crafted, carefully selected frame maintains the integrity of your work, while a poorly crafted, poorly chosen frame can downgrade even the greatest of art pieces. By framing your own work, you determine which of the two surrounds your artwork. Unframed work is unfinished. Why sell unfinished work to your client? When you frame your work, you are selling a complete package. Not only will your client appreciate not having to seek a frame elsewhere, they will appreciate that the work has been expertly framed by you, the artist. Not all clients will appreciate fine frames, nor can all clients afford the higher price point. However, not offering a "top shelf" line means you do a disservice to your higher-end, more discerning clientele. Like fine furniture, a Husar frame only gets better with age. Our frames can last lifetimes, being passed from one generation to the next. Thus, when you offer your client a Husar frame, you offer them a potential heirloom, one that will provide enjoyment and satisfaction for countless years to come. 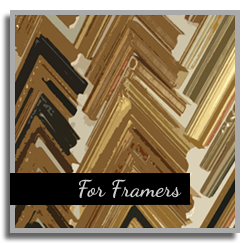 In many circles, custom framing means little more than the ability to order frames in any size. When it comes to Husar, it means customization on every level. From interchanging finishes to swapping ornaments to altering rabbet depth to matching the finish of a Husar frame a client ordered forty years ago, we are truly custom. So don't just offer your client a frame; offer them an opportunity. Engage them in the creation of a one-of-a-kind, fully customized, domestically handcrafted product.